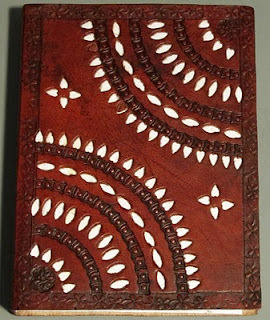 Beautiful handmade embossed journal. It's 6x8, 240 acid free pages, and is full of style and ultimately substance. The newest addition to our collection of handmade journals -- and it's a beaut. Available at the shop or online now. Click for details and purchasing information.